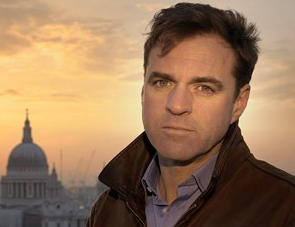 The subject of the fifth episode in Niall Ferguson’s series was consumerism, which predictably enough he quite likes. I think most of us have a soft spot for consumerism whether or not we admit to others or even to ourselves. But it is a rather magical feeling going to the shops and finding that everything you can imagine wanting and quite a bit of stuff you never even knew you wanted is piled up ready for you to take away. As long you have deep enough pockets. It is interesting to think just how big an impact our desire to shop has had on history, especially history from the Ferguson viewpoint. He lights on jeans to illustrate his point. Jeans started life as the work wear of cow herders in the West. How did American agricultural clothing come to be one of the most fashionable things to be worn around the world? Well it was a combination of marketing and Hollywood that meant that from the fifties the world could be divided into those that had a pair of jeans and those that wanted a pair of jeans. During the Cold War teenagers in the Eastern bloc were desperate to get their hands on these symbols of Western imperialism. Denim was so desirable the KGB had a name for crimes inspired by the urge to get hold of jeans. The socialist command economies did not respond well to consumer demands so did not produce a home grown version. By contrast in the West the market cheerfully supplied the things people wanted, so even when students revolted against the system in 1968 the protesters were dressed in the latest chic fashions originating from the capitalism they were protesting against. The mass produced western brands became so desirable that now virtually the whole world wears them. With the collapse of communism the former socialists can now wear the jeans they desired for so long. In China, where boiler suits used to be universal, the streets are full of people dressed like they have just got back from a shopping trip to Oxford Street or Fifth Avenue. The only part of the world resisting this now is the Islamic world, where women are now increasingly wearing headscarves. Ferguson ends the programme by speculating that this is no superficial matter. The rejection of western dress in favour of the traditional represents a challenge to the values of the West and was the thin end of the wedge which will end with the imposition of Shariah law. As always, the programme was highly watchable. The story of the failure of the command economies of the Soviet bloc to provide their populations with the things they needed and wanted is a familiar one. And it isn’t really a contentious one any more either. Nobody anywhere is seriously proposing Communism was a good idea. But it was a story told very well. I couldn’t help thinking that there might be a few private scores being settled. It wasn’t really necessary to deride the student protesters of the late sixties quite as much. Niall Ferguson would have been too young to have taken any kind of part in them but I wonder if he has had to hear stories about how great a time people involved had perhaps more often than he would have liked. The bit about the Islamic world’s rejection of western consumerism was potentially much more interesting, but was dealt with too quickly and superficially. We only heard about Turkey. Now Turkey is a fascinating place and I think we’ll be hearing a lot more about in the future, especially if it succeeds in getting admitted into the European Union. (I really hope it does.) But Turkey is not a typical Islamic country and I am not sure it is the best place for an illustration of the point being made. I would have liked a lot more. So bottom line – a really interesting and thought provoking programme. But the biggest thought it provoked in me was ‘I really want to hear more about this’.